Published: Mon, March 25, 2019 @ 5:04 p.m. Greatest Golfer champs and 2018 finalists are set to launch the first-ever 2-player Invite event May 17 at Links at Firestone Farms. 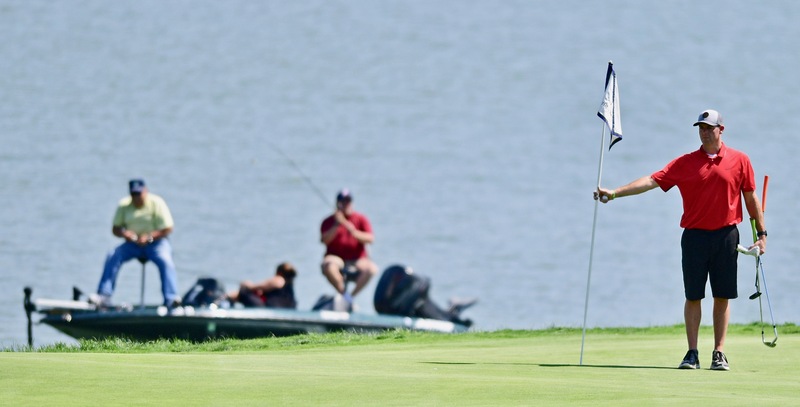 The top finishers earn free play into the 2019 Farmers National Bank Greatest Golfer of the Valley tournament in August. The growing roster includes 2018 Pete Mollica Men's Open Champ Joey Cilone and junior girls champ Leah Benson. Below is the format. It will be open to regular Greatest players in a couple weeks. Greatest Golfer of the Valley kicks off its 10th season in 2019, and we want to do so with a new event you are invited to launch. Event open to All Greatest Champions and partner, and All 2018 finalists and partner. This is first-come, first-in signups before we open it to other players Greatest players. We will play 18 holes in a 2-player shamble format. Both partners tee off; second shots are played from the best drive; individual ball played in; best gross and best net score carded. Handicaps must be provided. Use your best/peak 2018 handicap. We are asking that you invite a partner who’s never played in Greatest — or has only played once or twice. If you show up with legendary faces and say “this is all I could find,” we’ll tease you all summer — but maybe let you play. Help us grow Greatest by bringing new faces to Greatest. Juniors can pair with adults; women can pair with men; etc. The only banned pairing is slow player and slow player. We have a $1,500 prize package set up. We will award 1st Place Gross and Net, as well as 2nd and 3rd Gross and Net. 1st — $100 x 4 players plus entry into 2019 Greatest Golfer. If we grow sponsorships, we will grow prizes. We’ll have fun recognizing the 10 years of Greatest. Do you know the first champs ever? Entry fee is $85/per player. Email me tfranko@vindy.com with your partner name. Use your best/peak 2018 handicap. That will reserve your space. This event will be first-come access for champs and 2018 finalists before being opened to the whole 2018 field.